Personal Stylists Will Help You Feel Amazing. Struggling with what to wear? Need something unique for that special occasion? We’ll help you pick the style that makes you feel great. Get your style sorted in just half a day – you’ll learn how to look and feel fabulous in every area of your life. That’s a promise! Is getting dressed in the morning a source of frustration with you? Let us help revitalise your wardrobe to one you’ll love. During this 2-hour consultation you’ll discover your own personal style that makes you feel that the real you is shining through. Look amazing with the right makeup and application. In one hour we’ll show you what suits you perfectly. Picking the right colours in makeup and clothing is very important. 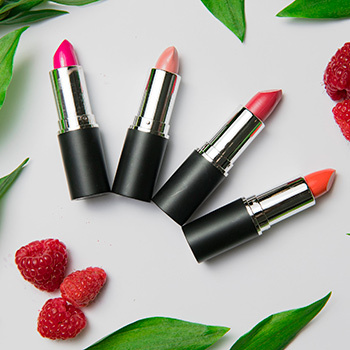 We’ll teach you how you can look fresh and vibrant every day! Cindy and her team of certified personal stylists want to help you with your wardrobe needs so that you look and feel great everyday. They won’t just help create a wardrobe that they like: they’ll show you a style that’s perfectly tuned to your personality, body shape, age, lifestyle and budget. The services of a personal stylist can be life changing when effectively carried out by an experienced certified professional. It takes a lot more than just knowing fashion and style to be a personal stylist. A great stylist must have exceptional interpersonal skills, have an understanding of self-esteem, body image issues and how to help these issues through the use of style and fashion. They must have the ability to listen to their client’s needs, goals, lifestyle and budget and apply this to achieve great outcomes and most importantly they must have a real empathy for others and a kind and caring nature. Cindy, one of the early pioneers to bring personal styling to the everyday person has carried out over 7,000 personal stylist consultations. Her knowledge and experience is sought after by people from all around Australia who wish to become personal stylists. Due to this demand along with the need for properly trained consultants that can truly help others, Cindy started a training academy called Professional Styling Academy. Over the last 5 years that the Academy has been running, hundreds of students have successfully completed her course. During this time Cindy has sought out exceptional students that wish to work for Style with Cindy to join her team of Stylists, her choices not just being on styling skills but also those who have a warm caring nature that have a burning desire to help others shine in the way they wish to shine. This has been a great foundation in building the highly talented and passionate team Style with Cindy has today. The culture within the team is caring and support based, helping each other to continue to grow and improve and with Cindy as head stylist, each and every consultant has skills that are second to none. If you are seriously looking for a personal stylist to assist you with your style or wardrobe issues and are a little apprehensive in taking the step, we are here to help you through the whole process so you feel comfortable and excited about the step you are making. 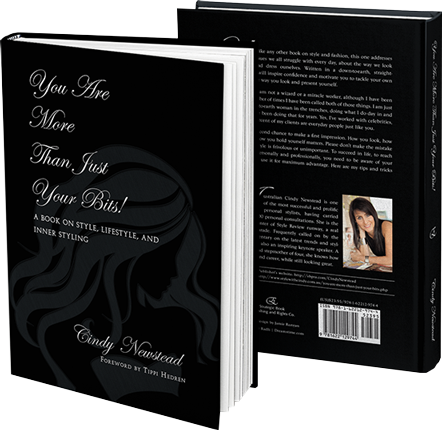 Written in a down-to-earth, straight-talking way, the self-help book “You Are More Than Just Your Bits!” will inspire confidence and motivate you to develop a style that excites and inspires you to get dressed each morning.